Product code: W1193 Categories: Antique, Antique Clocks. The aesthetics of carriage clocks are just perfect to sit proud in any room, and here is a very high grade antique repeater carriage clock made by Achille Brocot in the 1870’s. This is such an attractive carriage clock that will also chime with a delightful “ping” on the hours as well as the half hours. As well as this, it is also a repeater carriage clock. A repeater carriage clock is one that strikes the hour when you press the button on the top as can be seen in the images. 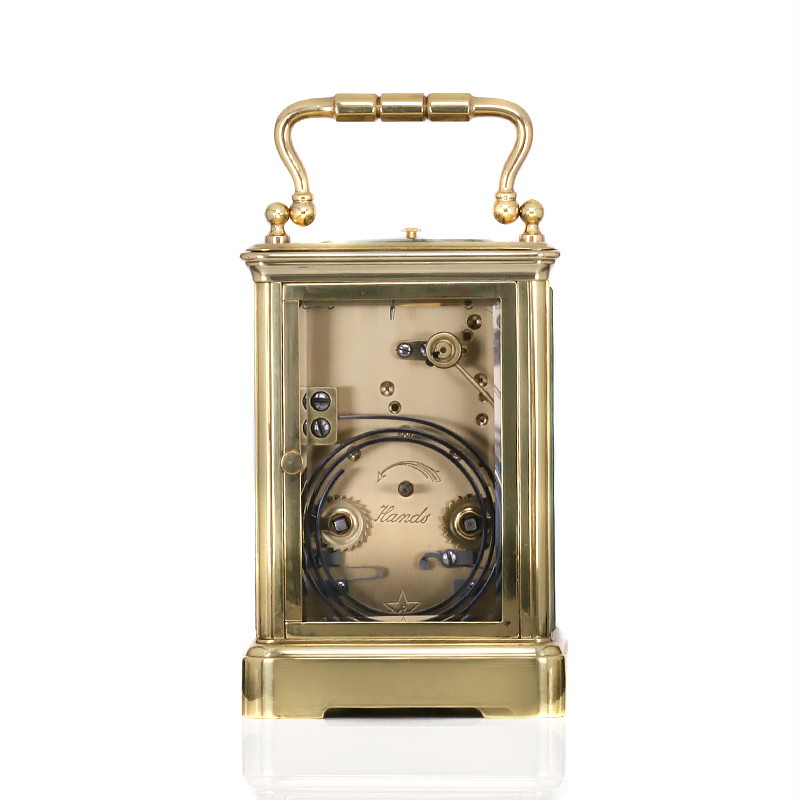 Made by Achille Brocot who was an eminent clock maker in France in the 19th century, the movement has been completely serviced and overhauled and comes with our twelve month warranty. The case which measures 12.1cm high (or 16.2cm to the top of the handle) by 8.2cm wide by 7.5cm deep, has also been polished and sealed. 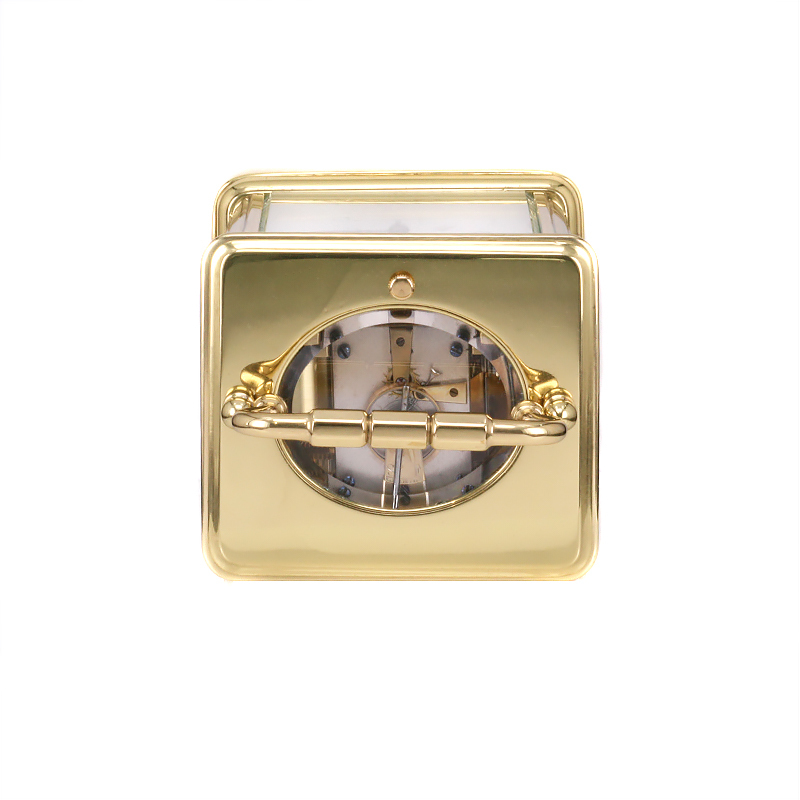 In wonderful condition and so stylish, this antique repeater carriage clock not only looks so handsome, but sounds so elegant as well. Tags: Antique carriage clock, Carriage clock.